Bell: "It turns out that if you want to make the right decisions at a silicon level, you actually have to have a vision of where that silicon is used"
When the CEO and the head of the PC group at Intel stop talking about processor speed and start talking about user experience and making technology people lust after, there's something going on. 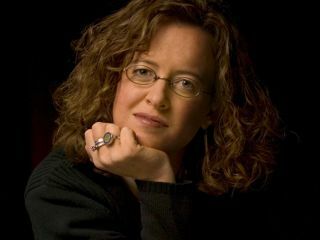 One of the people behind Intel's new approach is Genevieve Bell, the cultural anthropologist who runs the Interaction Research Lab in Portland. "We spend a lot of time settling with technology," she complains. "I wanted to ask what was really going to make us go 'I must have it!' Irrationally; must, must, must! What compels people to love phones?" To answer that, her team spends time studying how people actually use technology, especially at home, and most recently in cars. "It turns out that if you want to make the right decisions at a silicon level, you actually have to have a vision of where that silicon is used. You want to work out what people love and then you want to work out what are the technologies that will make that possible - or that will get in the way. "Things that really piss people off turn out to be really instructive about what not to do." The irrepressible Australian once confronted Otellini about the way Intel was approaching the TV market. "He explained to me that no-one watched TV any more. And I was 'Excuse me, but I'm pretty sure everyone does. You read books instead; that's just stellar, but you're not everyone. In my professional opinion, you're neither normal nor average'." Many products fail because technology companies that became successful building for people just like their engineers are now making something no-one working there will use. "It's not just Intel; my colleagues at Microsoft, IBM, Google, Huawei all have the same problem. The gut instincts of decision makers, the ones that have served them so well up until now, turn out not to be the ones that scale for everyone. "There was a time that what Intel made was PCs, laptops and servers and that was it. But the world of computing is infinitely more complicated now and our markets are bigger and the people who are buying the technology are like no-one in the building." That's why Bell's team spends time watching people watch TV and, most recently, unpacking and photographing what people keep in their cars. "About 40% of the cost of a new car is the electronics. And while car companies are increasingly building technology into cars, consumers just keep bringing more technology to the car. Car companies have a vision of 'connected cars' in much same ways tech companies have visions of technology. I thought, OK, let's see what people actually do." Cars, it turns out, are rather like sheds. "Stuff goes into cars and never leaves them again. Something you imagine you might one day need – like the dongle for a device you haven't had in three years." We keep emergency supplies like flashlights or water and in many cultures, we also keep things in our cars to make sure we're not going to be embarrassed socially; spare greetings cards in the US, alcohol in Australia, lucky envelopes of money in Asia - and an A-Z in the UK. The same is true of phones. "Phone numbers have people's faces and names attached, Facebook tells you birthdays. We spend a lot of time talking about privacy but we haven't spent much time thinking about how people use these devices to ensure the continuity of social relationships. It's not about protecting themselves, it's about protecting their relationships. "That lets you think really differently about people categorise data. What are the ways people might think about privacy? What are the ways devices might need to talk to each other – and what are the kinds of things you might not want devices to talk about?" Devices talking might matter more than people talking. "Whatever the latest cool phone is, I can guarantee you it is not the easiest thing on which to make a call," Bell claims. "They're much less about communications but you'll never be somewhere without something to do. If it is more about constant engagement, it has really different implications for what you design into the platform, what software you might want to embed in it and what it needs to know about you and what you're doing." Her lab is working on that; "The stuff that will come out of Intel in the mobile space in the next couple of years has our fingerprints on." Not convinced Ultrabooks have a future when tablets are so popular? Bell calls herself "bullish" on Ultrabooks because "they are not just about Sandy Bridge - they are about empowering people to be creative." Yes, we want to consume content, but that's not all we want. "For five years now, consumers have had this incredible panoply of devices on which they can consume content, of which the iPad and Kindle Fire and Kindle are just the latest examples. TV viewing is up 15-25% in the last ten years; we watch more television that we did ten years ago. These devices make it easier to consume content than anything else - but what we were starting to hear from consumers for a long time was this desire to also participate and make things and share things." ULTRABOOKS: But will they sell in numbers? Another Intel idea she believes people want is WiDi. "I have never done a household interview where someone didn't take me to a corner of the room and say 'You see this pile of wires? Can you get rid of them?'." In the longer term, Bell is trying to reimagine security. "I'm really fascinated by what we trained people to do on laptops and that fact that is not going to expand to other devices. "All the ways we talk about security come out of a very military and western view; we have a drawbridge, we have a gate, we repel the hordes. I was struck by things that people have in their cars to protect them that have nothing to do with repelling danger. They were all about attracting good fortune. What are the other stories we tell about security that might lead to different ways of thinking about it? What are the conceptual models?" She also wants to make devices less demanding. "Years ago I interviewed a woman who thought the technology in her life was like a backpack of baby birds with their mouths open saying 'feed me, feed me, feed me!' They need to be plugged in, they want networks; they need to be taken care of. They're really demanding and also, it turns out, remarkably insecure. They lack self-confidence. 'Are you sure you want to delete that?' Yes, that's why I've asked you twice. 'Want to connect to that thing?' Yes, I always connect to it every morning. They're really high maintenance and there's only going to be more of them." She dismisses the usual predictions about the future of technology. "This notion of artificial intelligence; objects will get smarter and be able to engage with us in rational conversations. I don't want rational conversation! I just want it to stop asking me 'do you want to delete this'. The second is of course as soon as the machines get a little bit more self-confident they will kill us." Assuming we avoid HAL 9000 and Skynet, we can make life easier for ourselves. "We want to create a more balanced relationship where these devices become both more self-confident and less needy and start to be able to do some things on our behalf. "It's perfectly possible to imagine - without it being too creepy a world - where it says 'Genevieve always has the same meeting at 10am every Monday and at 10am every Monday she always opens up the laptop and starts shopping for shoes; this 10am meeting is one we could interrupt with email. Now this 11 o'clock meeting she's never online, so we might want to hold stuff back'." That means knowing what matters. "If you are on your computer and you're making a Skype call, chances are the call is the important thing. I should probably prioritise that and deprioritise other things. I should probably make sure if the network degrades I can hop you onto another network so long as I already have the password; I shouldn't have to ask you 'the network degraded, do you want a new one?' It should be clear that's the priority."